When considering a commercial bathroom renovation or remodelling project there are several important considerations. Below I have compiled some of the common questions I am asked from businesses’ considering renovating their bathroom facilities and in my answers reveal what businesses’ should consider to ensure a successful bathroom renovation. What type of fixtures are suitable for a commercial bathroom renovation? Commercial bathrooms have different demands compared to domestic bathrooms due to high frequency usage. In order to avoid costly breakdowns and to minimise future disruptions, we at Mudge Commercial Plumbing recommend using proven, reliable, quality fixtures. We can assist recommending plumbing fixtures that will suit your expected usage demand to help keep costs down but would advise against using the cheapest components available. It will only cost you more and create more headaches for you in the future. How can you minimise disruptions to tenants and the public? Noisy and disruptive works can be completed outside trading hours. This option is more expensive due to overtime rates however can be preferable to the alternative. Disruptions can be minimised during your commercial bathroom renovation by supplying additional plumbers so that the disruptive work can be completed in the shortest time span possible. If significant disruptions are anticipated or if you are wanting to avoid any disruptions then we can provide an alternative temporary bathroom facility during the remodelling of your commercial bathroom. How can you ensure the Commercial Bathroom Renovation is completed on schedule? You will be dealing directly me, the owner of the business, Paul Mudge. I have quoted your project and will be supervising your bathroom renovation, so I am intimately in tune with the requirements of your project. This minimises any disconnect between a commercial plumbing company’s estimates and operations departments. I have hand picked each one of my 5 plumbers because of their skill, reliability and work ethic. They have all been working for several years with Mudge Commercial Plumbing on a wide variety of commercial plumbing projects. As a small, medium sized Commercial Plumber we are more nimble and flexible. This can be very important when working with and / or coordinating other trades on site. Good planning is at the heart of ensuring our projects hit your schedules. As the operations manager in the business I plan and closely monitor every plumbing project. How can you ensure my Commercial Bathroom Remodelling project is run safely? At Mudge Commercial Plumbing we believe comprehensive site management plans and safe work method statements are a necessity for your commercial bathroom renovation to help identify potential hazards and what measures can be taken to minimise those risks. We are also a prequalified plumbing contractor with CM3, Australia’s leading online Contractor OHS/WHS Prequalification system. CM3 certification ensures both contractors and the clients they conduct work for are able to demonstrate contractor health and safety management capabilities. It also provides assistance for companies to better manage their contractors around health and safety requirements. For further details regarding CM3 click here. With many commercial bathroom renovations occurring in public areas, it is even more critical than ever to ensure your plumber is performing their work safely. How do you deliver a high standard of workmanship on every project? 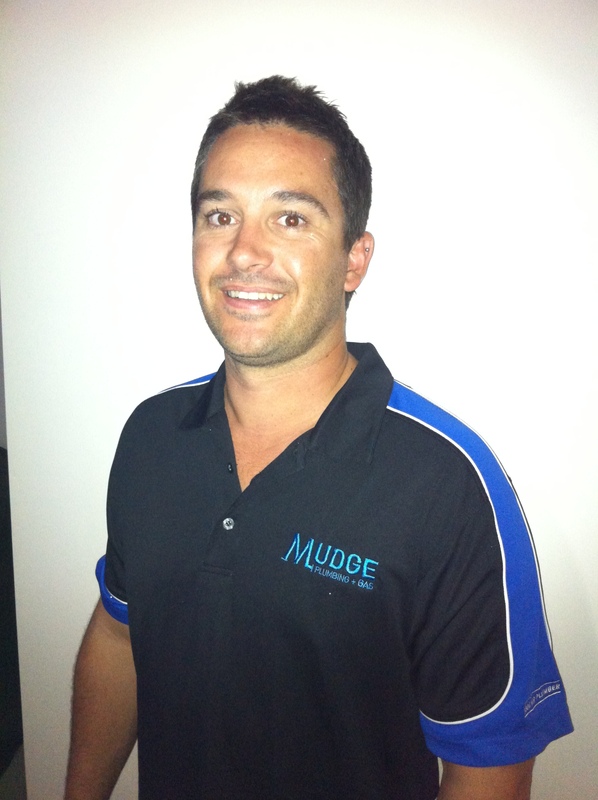 We run a small team of skilled plumbers that have all worked for Mudge Commercial Plumbing for several years. They each take great pride in their work and having worked together for so long they each understand the workmanship standards that are expected. As the owner and Operations Manager I supervise and inspect every commercial bathroom renovation project to ensure that our high quality workmanship is maintained at all times. Direct communication with the owner of the business, minimises miscommunications and allows you to address any concerns promptly. We believe our proven track record with several Perth shopping Centres is a testament to the standards of our workmanship. How much does a commercial bathroom renovation cost? Our typical commercial bathroom renovations may range from as little as $5K right through to $100K. Your project costs will vary significantly depending upon the size and number of fixtures in the bathroom, the desired finish and quality of components, site access and whether minimising disruptions is important and several other factors. I can provide a detailed quote from site plans and / or a site visit. 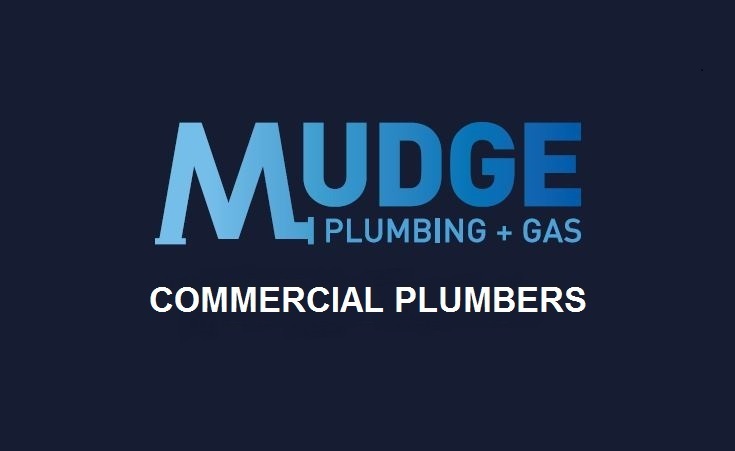 Mudge Commercial Plumbing Perth specialise in small to medium sized commercial plumbing projects and maintenance. We service Metropolitan Perth from Yanchep to Mandurah and as far east as Northam and Toodyay. 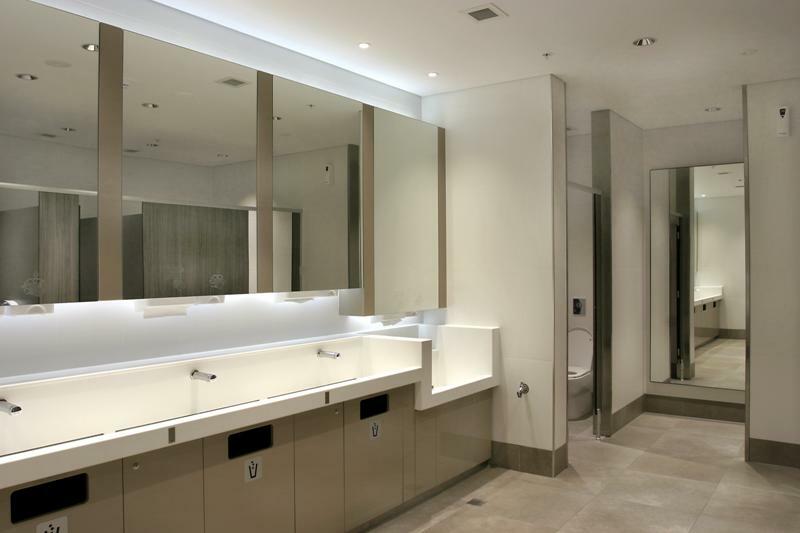 We have completed many successful commercial bathroom renovation and remodelling projects for Shopping Centres, Restaurants & Bars, Aged Care & Retirement facilities, Schools & education facilities, Shops & Office premises and Public facilities. At Mudge Commercial Plumbing we believe we are the right choice for your bathroom renovation and plumbing maintenance for many of the reasons outlined in the FAQ’s above, ultimately however the “proof is in the pudding”. Perhaps the “pudding proof” lies in the fact that we are the preferred commercial plumber for Vicinity’s Rockingham, Mandurah, Galleria, Dianella, Flinders, Vic Park, Kalamunda, Livingstone & Maddington shopping centres.